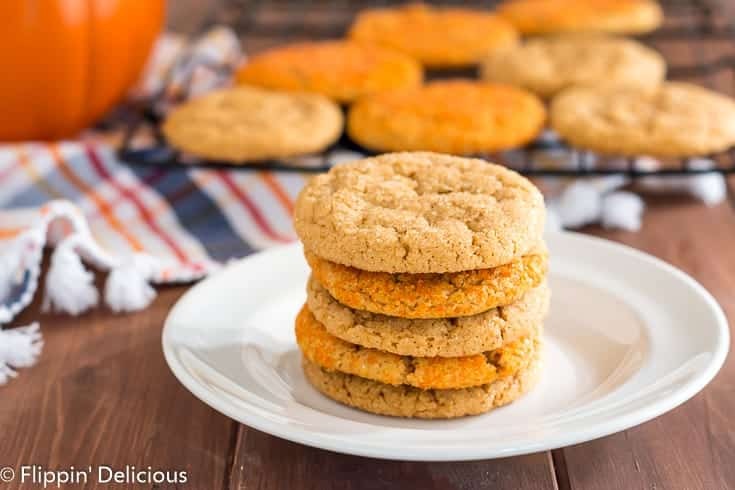 Gluten Free Pumpkin Sugar Cookies- chewy edges and crinkly sugar-sprinkled tops makes these gluten free vegan pumpkin sugar cookies the perfect gluten free fall drop cookie! It took me several tries to get my vegan gluten free pumpkin chocolate chip cookie recipe perfectly chewy. 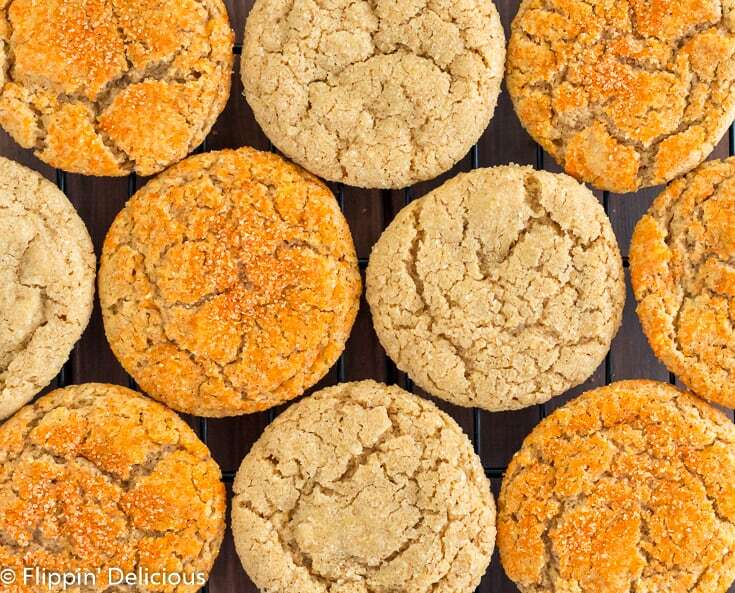 I thought that developing these gluten free pumpkin sugar cookies would be the same. I thought I’d make my first attempt last Saturday morning as I was heading out the door to my gluten free support group. Imagine my surprise when they turned out perfectly! Because I was heading out the door (and I was late) I snapped a quick Instagram story picture, but didn’t have time to take pictures for a post. I thought it would take several tweaks to make them perfect, so I was pleasantly surprised when I nailed it on the first try! I’m the self-proclaimed gluten free sugar cookie queen. My famous gluten free soft frosted sugar cookies are often requested by friends and family members. I’m also a pumpkin recipe fanatic! All summer I wait in eager anticipation for it to become socially acceptable to share pumpkin recipes because I just love them so much. I love baking with pumpkin year round! 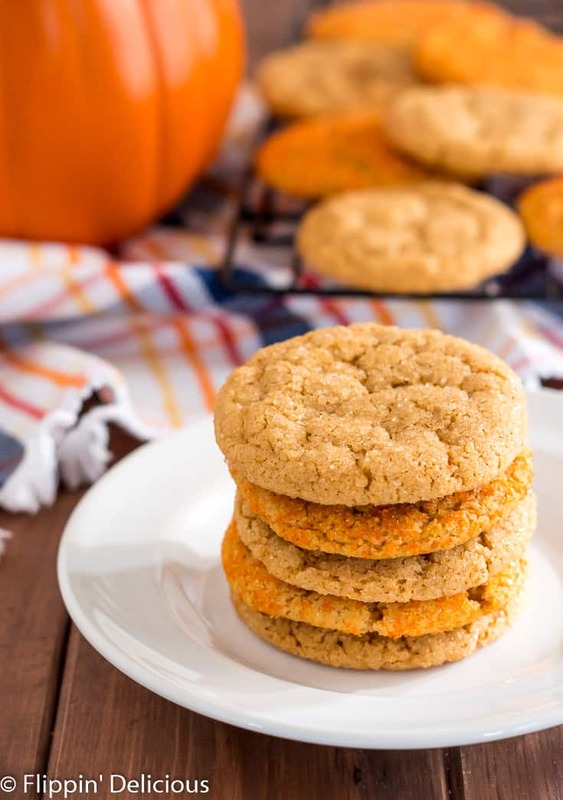 It is only natural that I want to marry my love of gluten free sugar cookies with pumpkin! As I was working on my gluten free pumpkin chocolate chip cookies, I remembered that pumpkin can be used as an egg replacement. In fact I made a vegan gluten free pumpkin chocolate chip muffins over the weekend too, swapping the egg for pumpkin puree with some extra baking powder to give it a little lift. 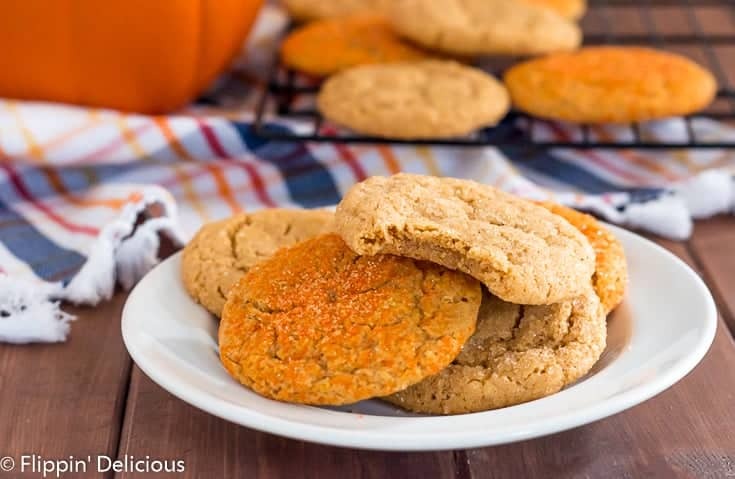 This gluten free vegan pumpkin sugar cookie recipe was inspired by all of my recent vegan pumpkin baking adventures! 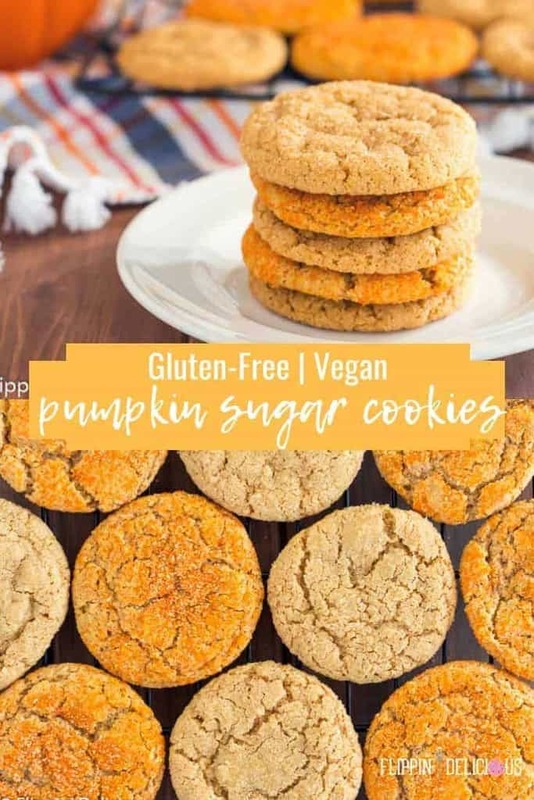 How did I make gluten free vegan pumpkin sugar cookies? I adapted the gluten free sugar drop cookie recipe from my ebook, Gluten Free Holiday Cookies. It is easy to make vegan, simply swapping the egg in the recipe for three tablespoons of pumpkin puree. 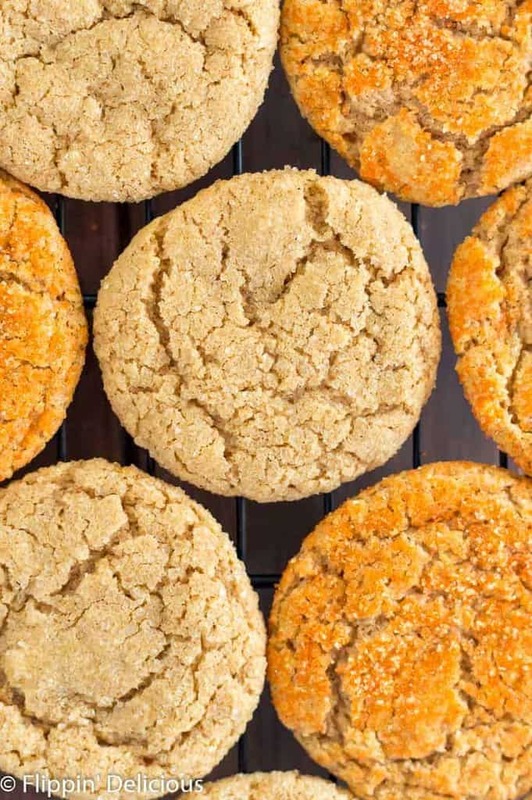 I added some cinnamon and nutmeg for good measure, because who wan’t plain pumpkin cookies when they can have gluten free pumpkin spice sugar cookies? 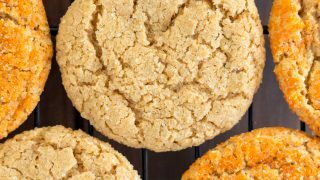 Also, I added a little pumpkin spice extract to my gluten free pumpkin spice sugar cookie recipe, since I have it in my pantry. I makes the pumpkin flavor prominent, you can’t miss it. Don’t worry if you don’t have it on hand, you can easily omit it. I rolled my gluten free vegan pumpkin sugar cookie dough in sugar before baking. I rolled half of my vegan pumpkin sugar cookies in coarse raw sugar and the other half in an orange and yellow sanding sugar. My kids loved the bright orange color! 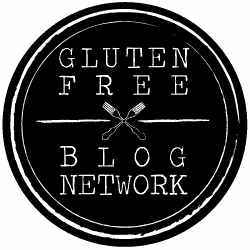 If you haven’t already tried the recipes from my gluten free holiday cookie ebook, get ready! 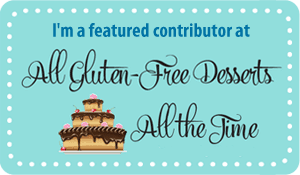 I have not just one, but three versions of my gluten free sugar cookies in the book. The gluten free sugar drop cookies are my secret weapon. They aren’t soft and cakey like my soft frosted gluten free sugar cookies, instead they are chewy with crisp crinkly sweet sugary edges. Next time I make them, I want spread my gluten free pumpkin sugar cookies with a little frosting. With frosting on top, I think it will taste more like a gluten free pumpkin pie sugar cookie! I’m also thinking about making a vegan pumpkin version of my gluten free soft frosted sugar cookies. Tell me in the comments if you want a recipe like that and I’ll start working on it! Optional, your favorite vegan-friendly frosting. I've used canned frosting, and my favorite easy vegan buttercream frosting. Preheat the oven to 350F. Line 2 baking sheets with parchment paper or a silicone baking mat. Cream together the butter and sugar. Add the pumpkin puree and mix until smooth. 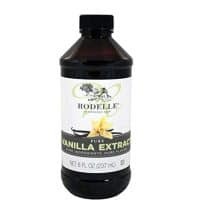 Add the vanilla extract, pumpkin extract (optional) salt, baking powder, baking soda, xanthan gum, and gluten-free flour and mix until combined. Scoop the dough using a 1 1/2 tablespoon cookie scoop and place on the prepared baking sheet. Optionally, sprinkle each cookie with a little coarse raw sugar or dip each ball of cookie dough in it before baking. If desired, frost after cooling. If you like your sugar cookies thinner with golden crispy edges and a chewy center, decrease the flour to 1 cup. I used Earth Balance as my vegan butter in this recipe. I have the best dairy free results using 4 tablespoons vegan butter with 2 tablespoons palm shortening. Or you can use 6 tablespoons of softened butter if you can do dairy. Thanks for sharing! Have you used pumpkin extract in any other recipes? I’ve never tried it! 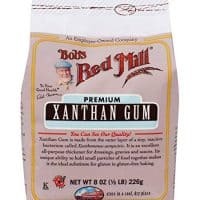 I have used it in other recipes! 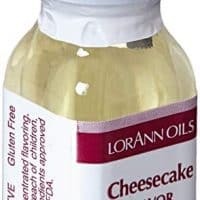 I believe I used it in my Gluten Free Pumpkin Spice Latte Cupcakes, and my Dairy Free Pumpkin Chai Bubble Tea. I have a habit of adding a half a teaspoon whenever I am making something pumpkiny, just to amp up the flavor.